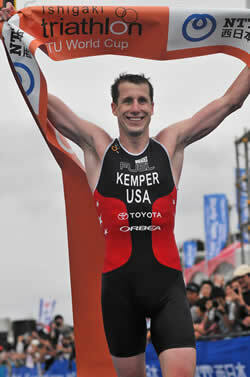 June 26, 2011 (Monroe, WA) – Three-time U.S. Olympian Hunter Kemper and Canada’s Chantell Widney were victorious Saturday at the second stop of the 2011 USA Triathlon Elite Race Series, the Tri Monroe – Gateway to Adventure. 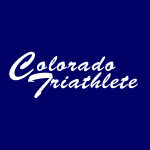 Kemper (Colorado Springs, Colo.) posted a time of 1 hour, 49 minutes, 51 seconds on the 1,500-meter swim, 40-kilometer bike, 10-kilometer run course to outdistance the men’s field by more than two minutes. Seattle native Ben Collins was second in 1:52:06, while Canada’s Andrew Russell was third in 1:52:21. On the women’s side, Widney finished in 2:01:35 to edge 2011 USA Triathlon Collegiate National Champion Kaitlin Shiver (Satellite Beach, Fla.), who was 14 seconds back in 2:01:49. Washington native Annie Warner (Nine Mile Falls, Wash.) rounded out the podium in 2:02:00. 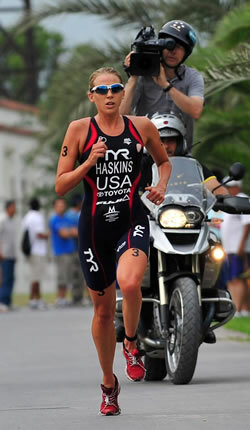 The elite event also served as the Monroe ITU Triathlon Pan American Cup. The women kicked off the elite races with Australia’s Annabel Luxford and Jennifer Spieldenner (Findlay, Ohio) leading out of the water by 10 seconds. Widney along with Lisa Marangon of Australia turned in the day’s quickest bike split, and Widney carried that momentum onto the run with a 37:19 10k split to edge Shiver, who closed with a 37:33 run. On the men’s side, Dustin McClarty (Irvine, Calif.) notched the day’s quickest swim split with Kemper sixth out the water and more than 20 seconds down. 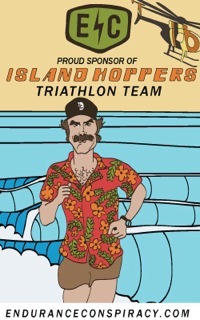 However, the veteran came on strong on the bike and run to earn his second ITU victory of the season by a comfortable margin over Collins and the rest of the field. Many of the nation’s top junior triathletes also were in action earlier Saturday in the Monroe PATCO Triathlon Junior Pan American Cup. Defending USA Triathlon Junior Elite National Champion Ben Kanute (Geneva, Ill.) won the men’s sprint distance event in 58:34 – just 10 seconds ahead of Bradford Avilla (Wilton, Calif.). The women’s race also was tightly contested with Jennifer Howland (Elburn, Ill.) narrowly besting runner-up Johanna Gartman (Chattanooga, Tenn.) in 1:05:14. The day kicked off with a super-sprint distance USA Triathlon Youth Elite Cup event with Rachel Mann (Homer Glen, Ill.) taking the female race in 34:11, and Sawyer Willingham (Simpsonville, S.C.) earning the male title in 32:42. 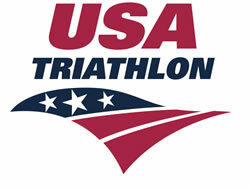 The USA Triathlon Elite Race Series is a domestic, five-event series that delivers an opportunity for the nation’s top Olympic-distance triathletes to compete for $275,000 in prize money and a series title – all while honing the draft-legal racing skills necessary to challenge for the podium at the 2012 London Olympic Games.